I have to admit I was surprised to see so many footsteps in the sand at the Mesquite Flat Dunes in Death Valley National Park. One usually thinks of waves of sand arranged only by the wind and small critters that emerge after sundown when the surface is cooler. 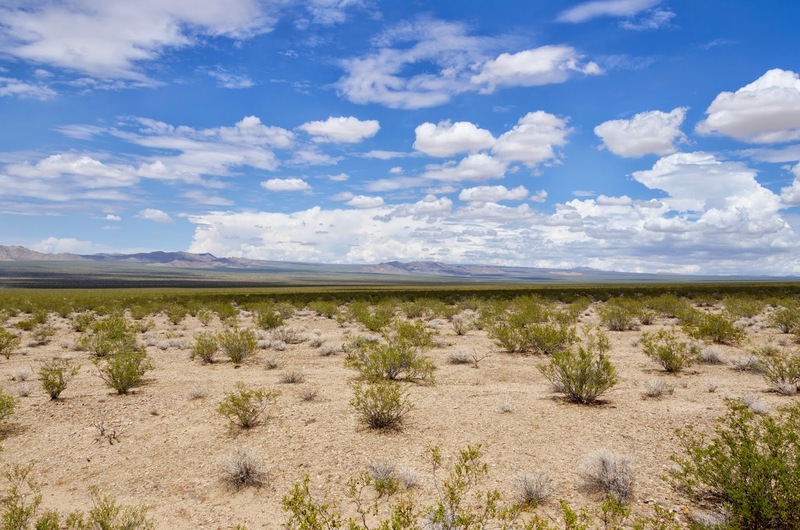 But the Mesquite Flat Dunes are right there by Stovepipe Wells, and irresistible to travelers motoring through the park. A short walk from the parking lot and you can be in the middle of an iconic feature of any desert - sand dunes. 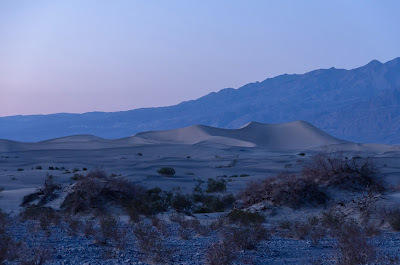 I traveled through the park with my friend Jimmy, and caught a glimpse of the dunes at sunset, with the beautiful hues of purple, brown and red of the sky and sand all seeming to blend together. As we pulled up, headlights were streaming out of the parking lot as folks left for their camping spot or lodge before it got too dark.